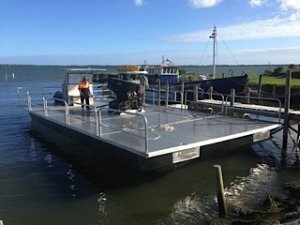 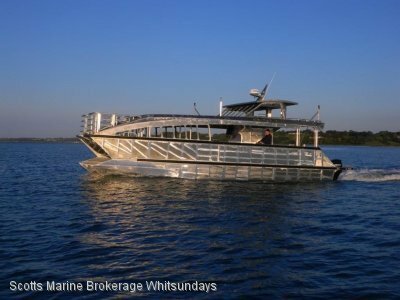 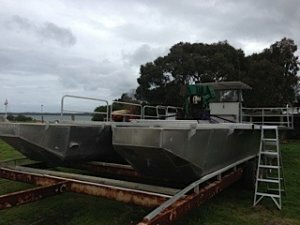 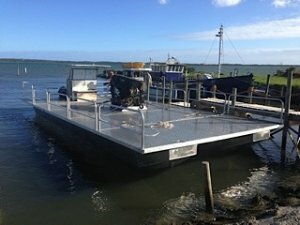 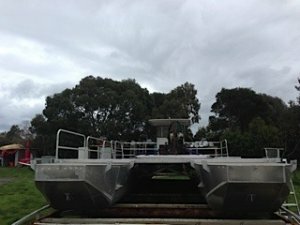 COMMERCIAL ALLOY CATAMARAN BARGE 12M X 6M, CAN BE DISMANTLED FOR TRANSPORTATION. 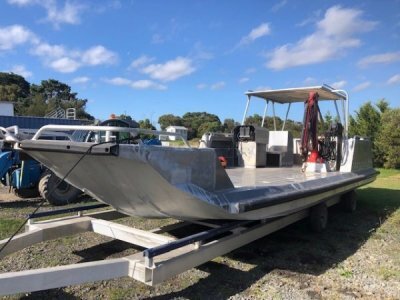 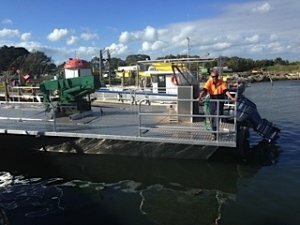 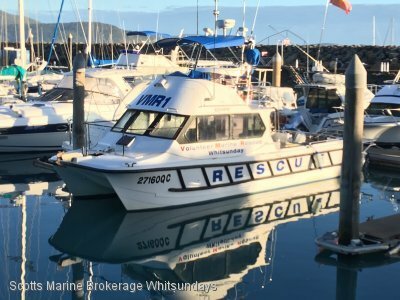 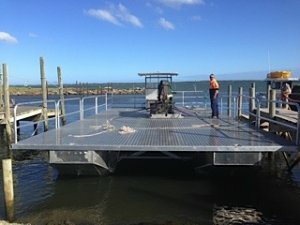 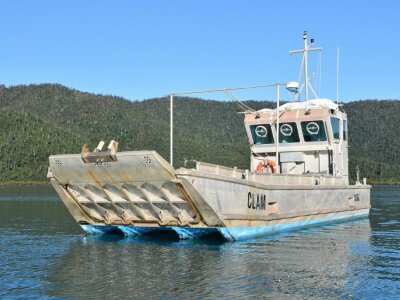 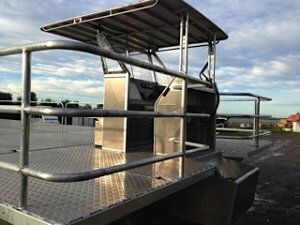 6X WATERTIGHT COMPARTMENTS, GROVE DECK CRANE WITH WINCH, 5X HYDRAULIC DECK WINCHES AND HYDRAULIC PILE DRIVER, HONDA 20HP HYD PACK, TWIN 150HP YAMAHA FOUR STROKE OUTBOARDS, AMSA D CLASS SURVEY FOR FIVE CREW, 10 - 15 TON DECK LOADING ABILITY. 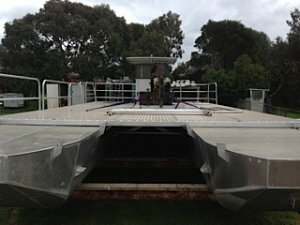 VESSEL CAN BE PURCHASED WITHOUT THE PILE DRIVER AND CRANE FOR 295K PLUS GST.